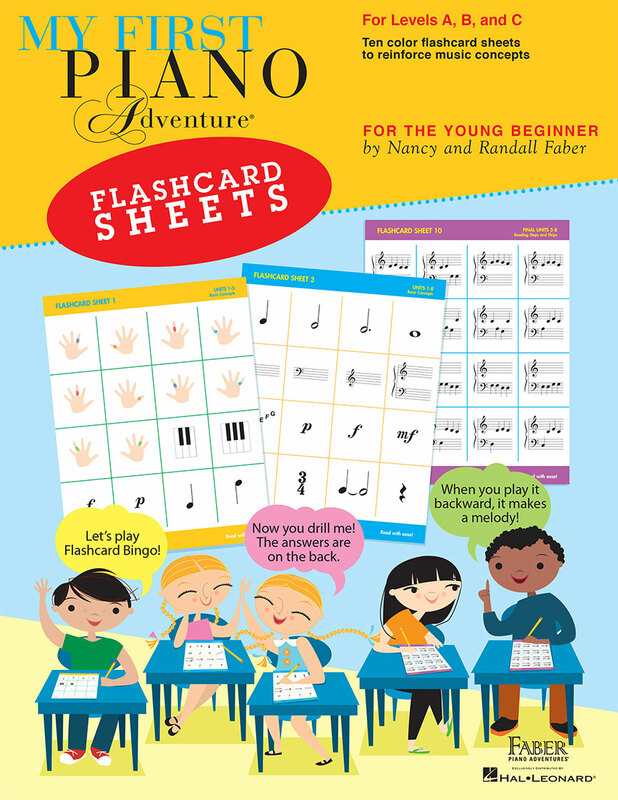 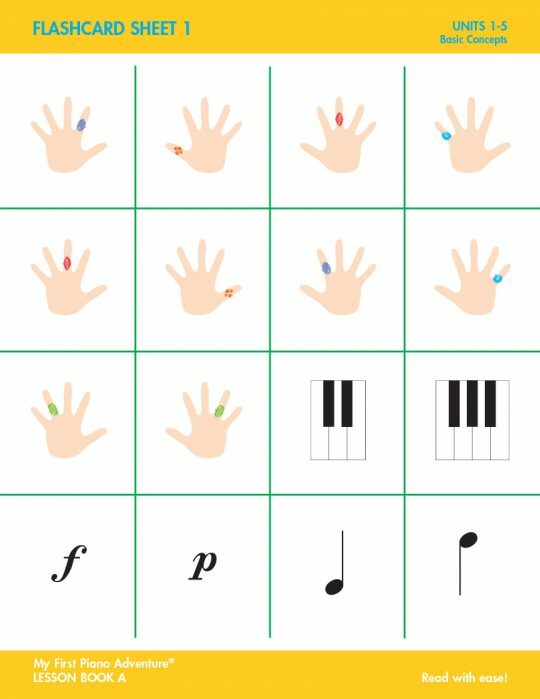 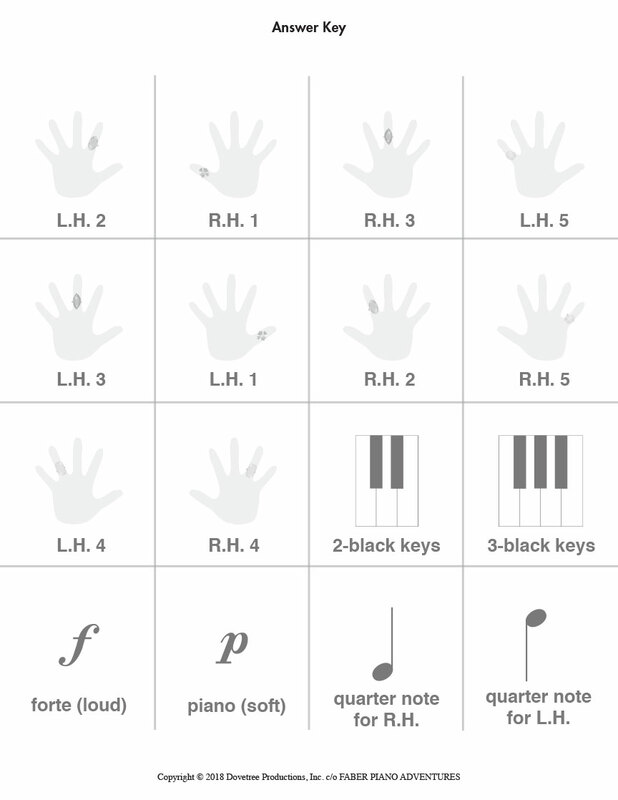 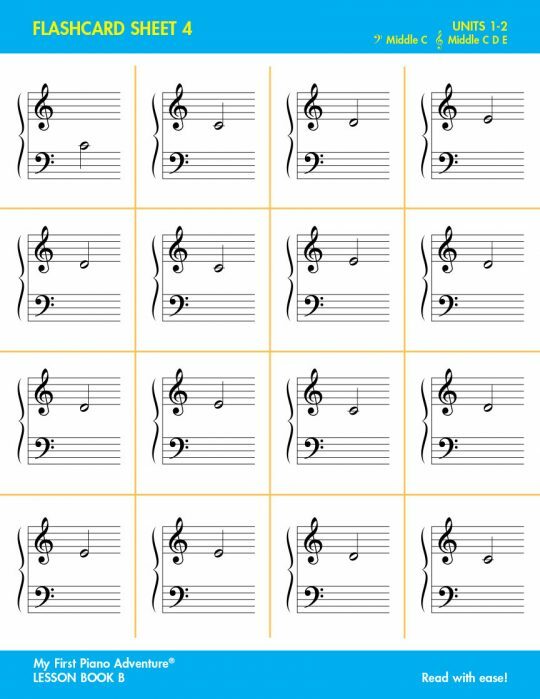 This set of ten flashcard sheets provides interactive fun to help students “read with ease.” Each sheet is correlated by book and unit to the My First Piano Adventure course, offering excellent reinforcement of note reading and music concepts. 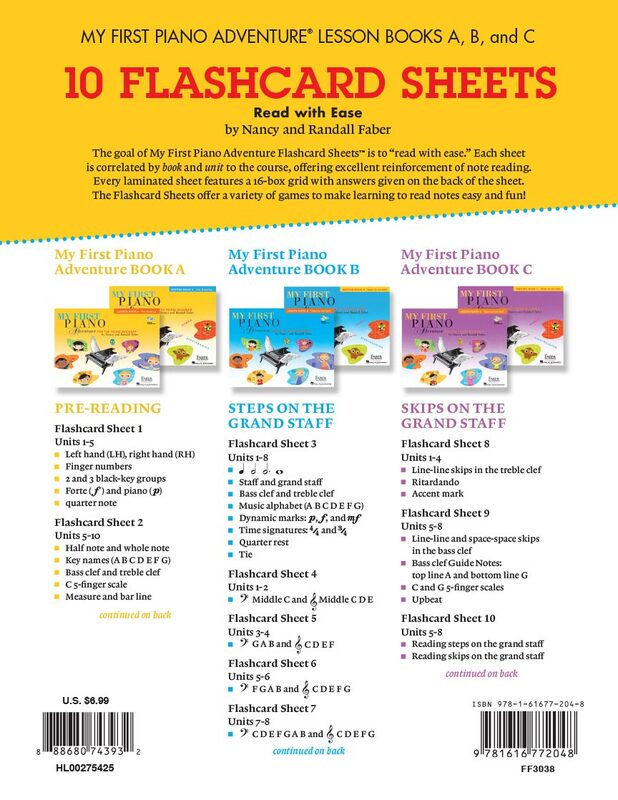 Every laminated sheet features a 16‐box grid with answers printed on the back. 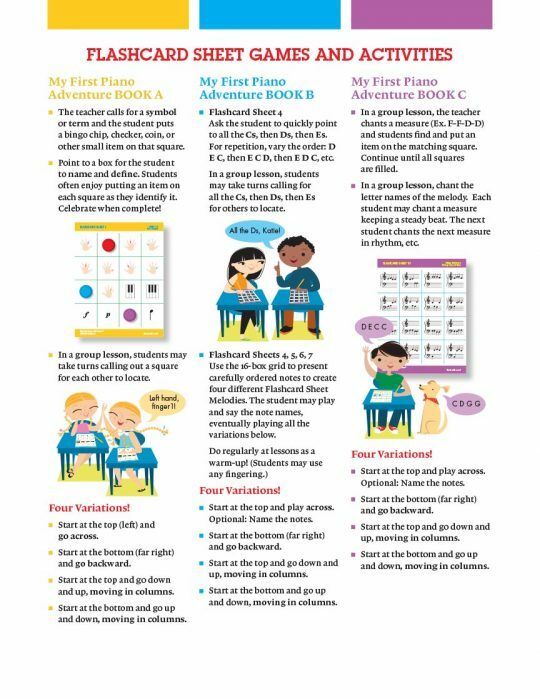 Includes a variety of games and activities for individual and group lessons.